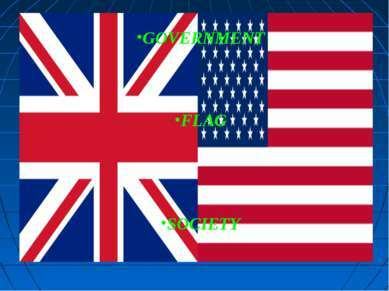 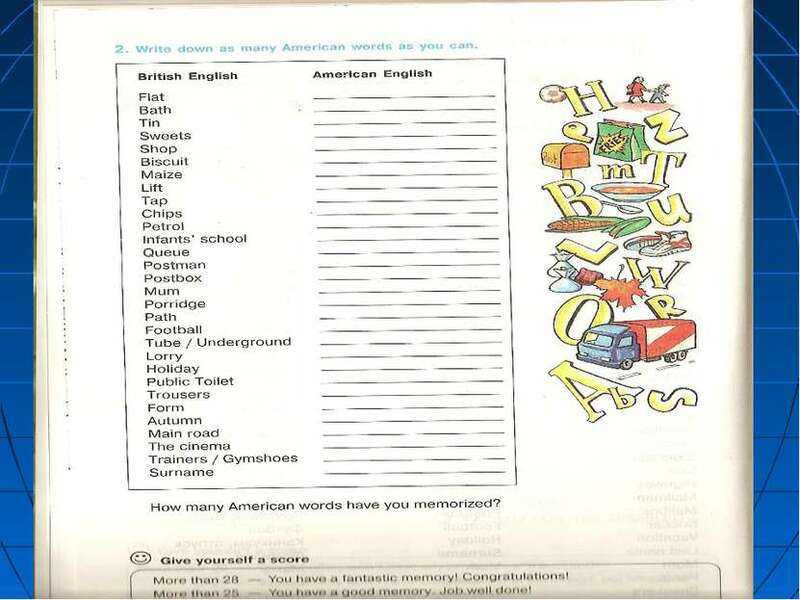 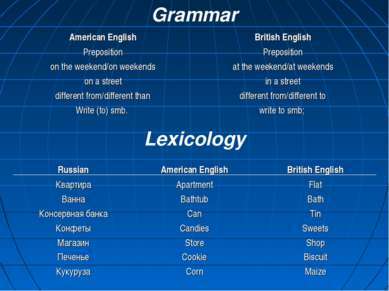 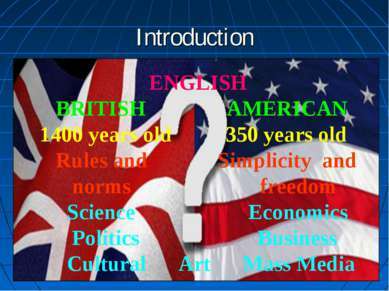 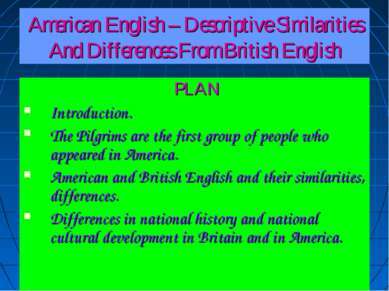 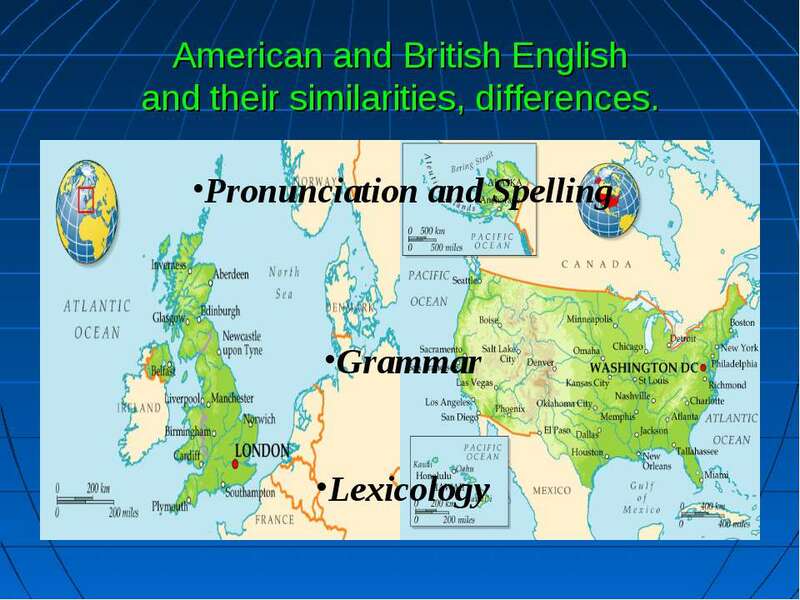 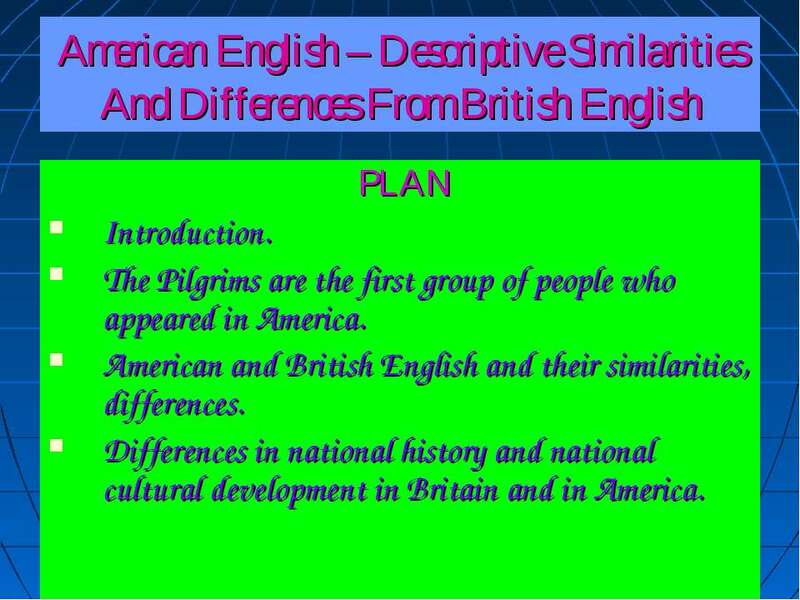 American English – Descriptive Similarities And Differences From British English PLAN Introduction. 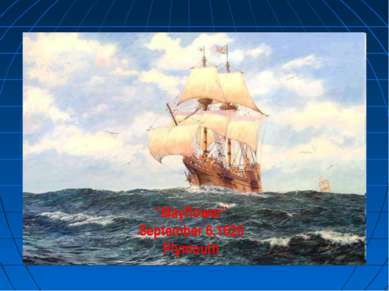 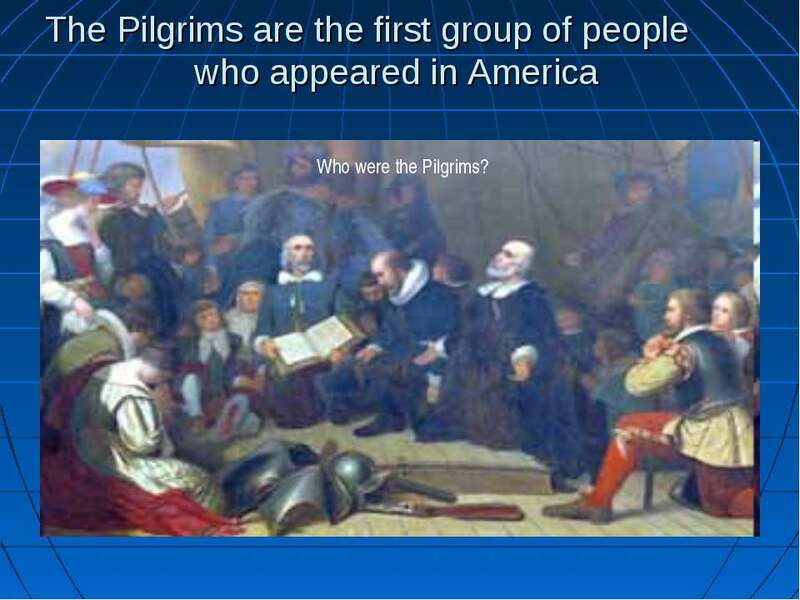 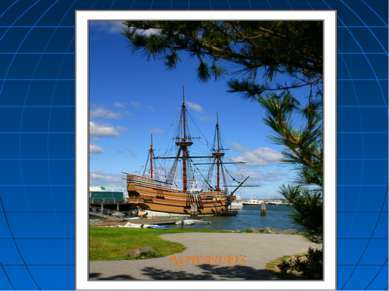 The Pilgrims are the first group of people who appeared in America. 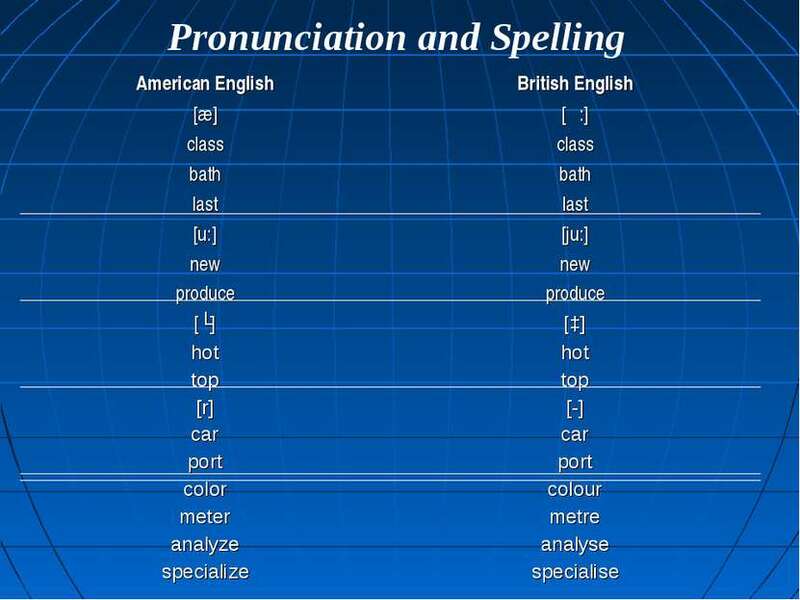 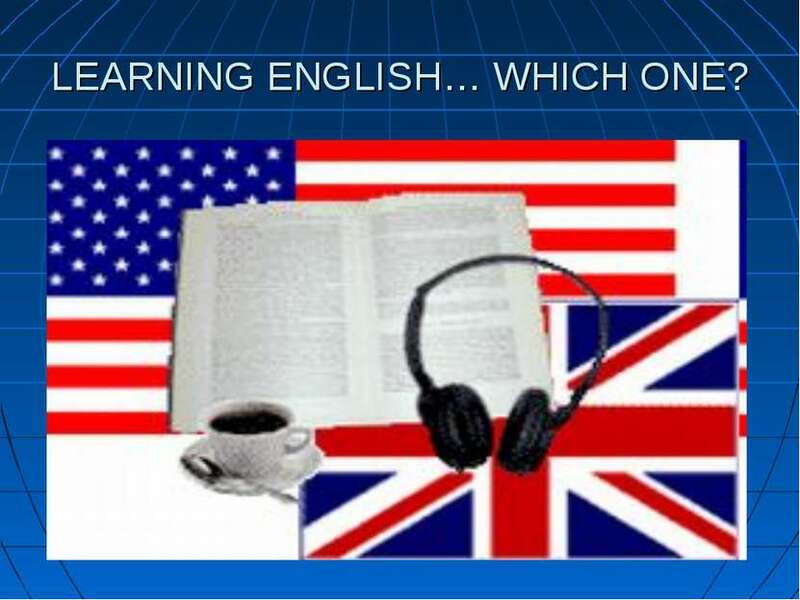 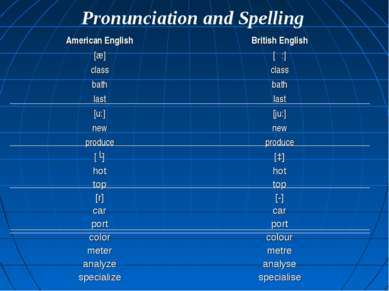 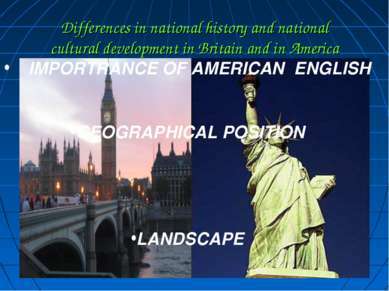 American and British English and their similarities, differences. Differences in national history and national cultural development in Britain and in America. 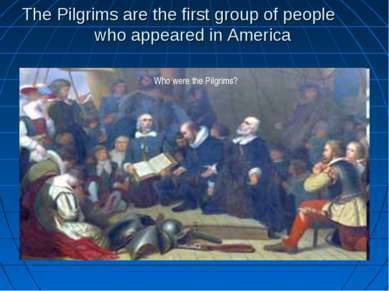 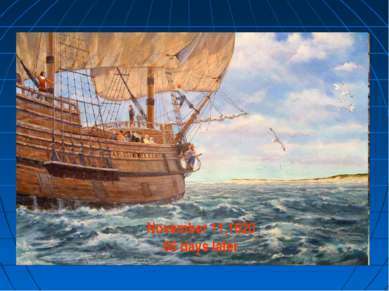 The Pilgrims are the first group of people who appeared in America Who were the Pilgrims? Grammar American English Future Использование “shall” необычно. 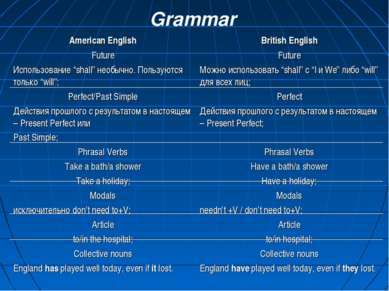 Пользуются только “will”; Perfect/Past Simple Действия прошлого с результатом в настоящем – Present Perfect или Past Simple; Phrasal Verbs Take a bath/a shower Take a holiday; Modals исключительно don’t need to+V; Article to/in the hospital; Collective nouns England has played well today, even if it lost. 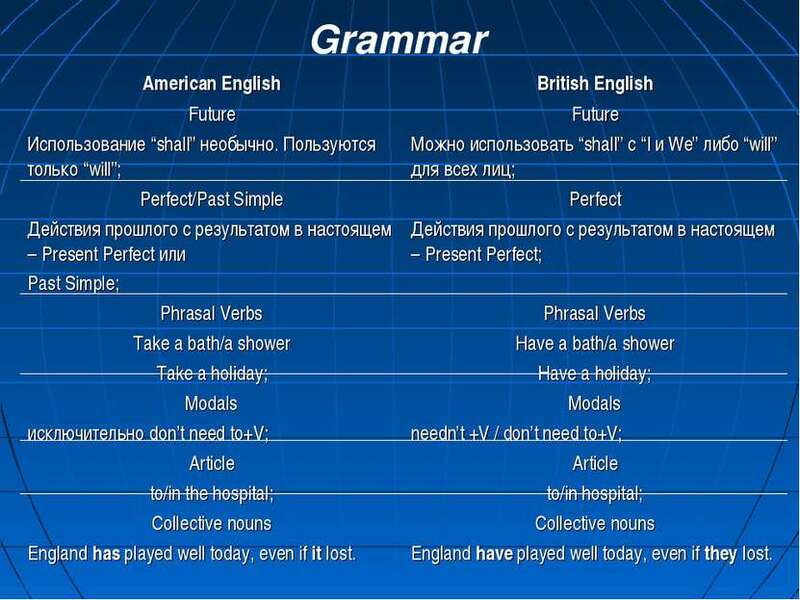 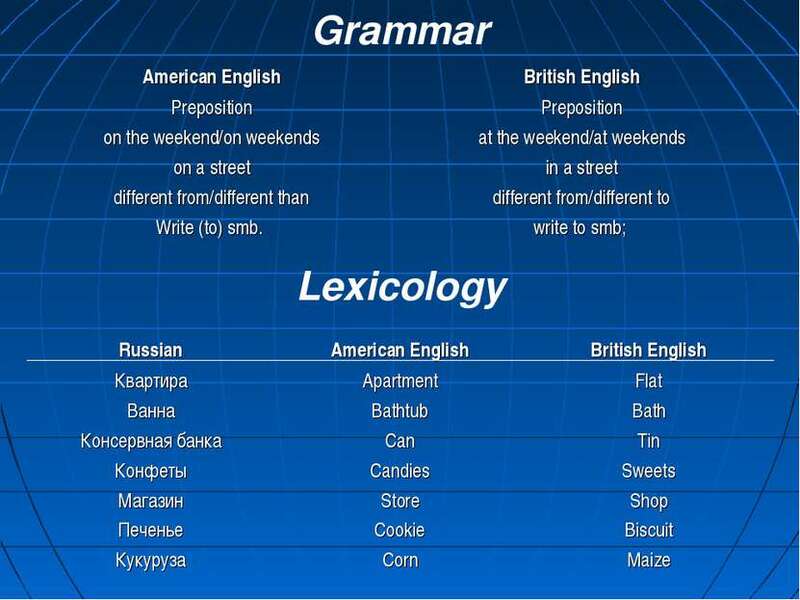 British English Future Можно использовать “shall” с “I и We” либо “will” для всех лиц; Perfect Действия прошлого с результатом в настоящем – Present Perfect; Phrasal Verbs Have a bath/a shower Have a holiday; Modals needn’t +V / don’t need to+V; Article to/in hospital; Collective nouns England have played well today, even if they lost.